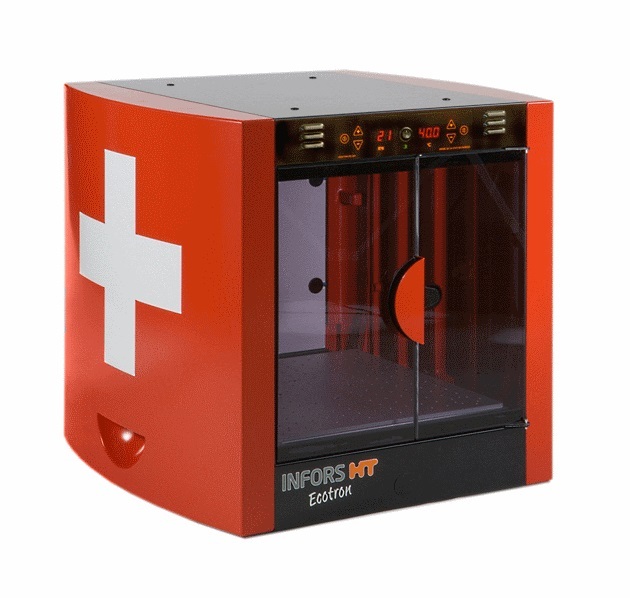 The Infors Ecotron Model Shaking Incubators are designed to offer quality, performance and excellent value for the money. . The innovative Penta-Drive balances the load dynamically and allows smooth, quiet operation even at higher speeds with poorly balanced loads. The speed control is precise and covers a range up to 550 rpm. Good thermal insulation insures the Ecotron shaking incubators will keep an even temperature distribution. The large, bright LED’s on the splash proof operating panel show both parameters simultaneously, along with key information about the status of the Ecotron. Automatic stopping and re-start depending on whether the door is opened or closed is standard. 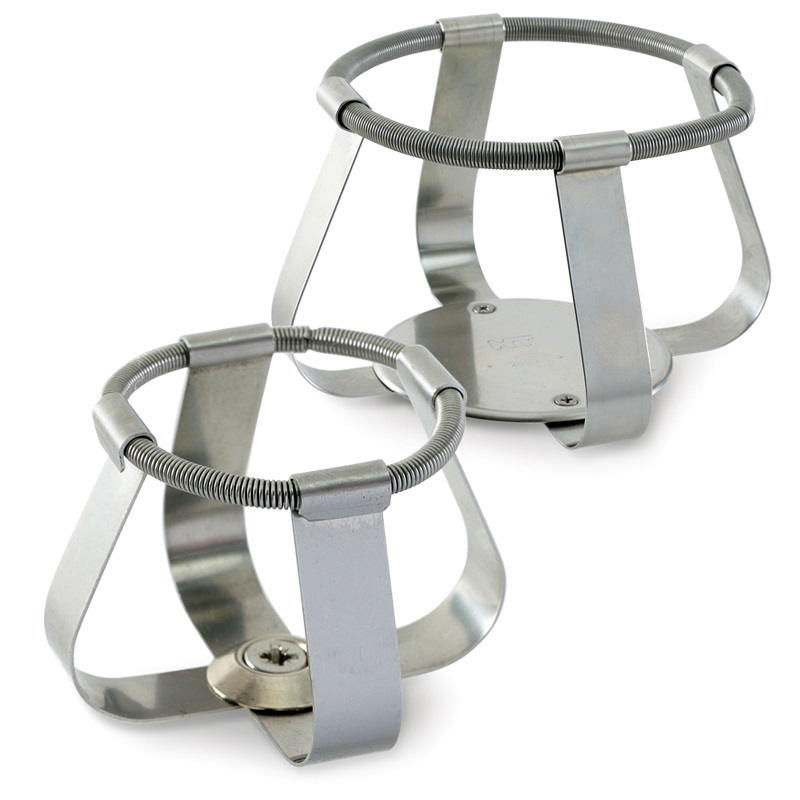 The front door allows good access and there is no need to lift up a lid to get at flasks. 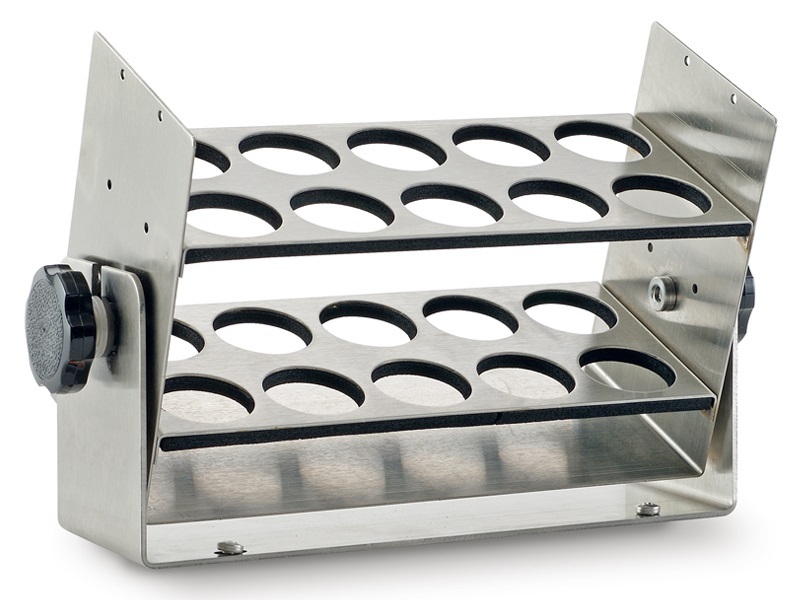 This allows the Ecotron to be located on or under a laboratory bench while consistently offering easy access. Two Ecotrons can be stacked, to save laboratory space. Spillages are contained in a special insert in the base and draining of the liquid is possible without taking the Ecotron apart. The Ecotron is available in two models, with or without cooling. The shaking table has threaded holes to accept accessories such as flasks, test tubes and microtiter plates from the Infors standard range. As an option Sticky Stuff adhesive matting is available. 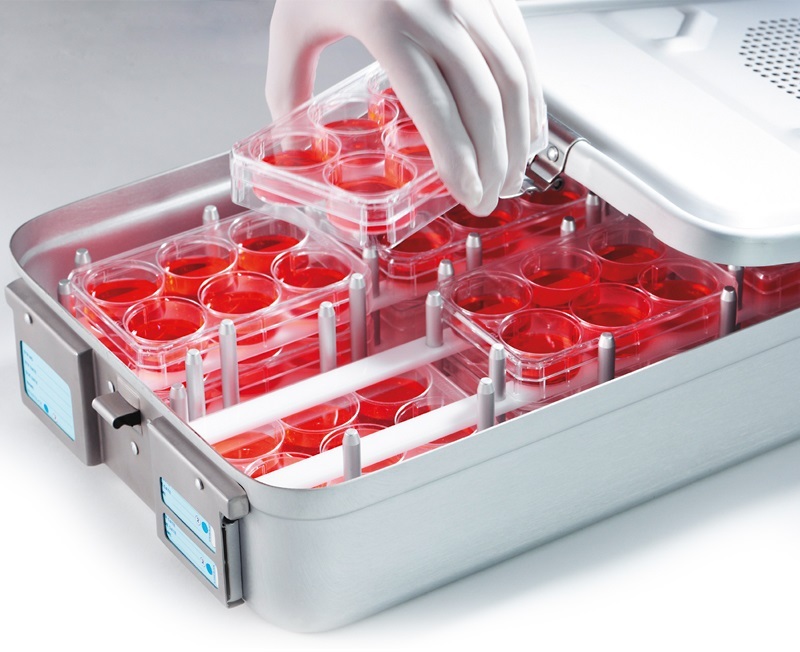 A box for microtiter plates can be mounted onto the Ecotron platform, either with screws or adhesive matting.